Choosing a Pipe Fabricator boils down to more than just the price. It's much too easy to fall into the trap of a choosing your Pipe Fabricator with cost savings at the forefront. Especially when low cost more often than not means low quality, leading to an overall poor return on investment. Don't underspend on your pipe fabrication project just to spend more on tweaks and routine maintenance. 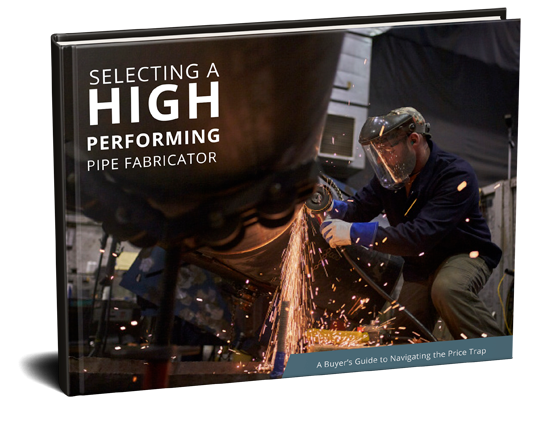 With our e-Book, "Selecting a High Performing Pipe Fabricator" the experts at J. F. Ahern outline the key considerations to keep in mind when selecting a pipe fabrication company.